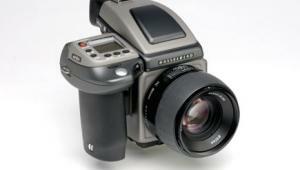 The Hasselblad H1 answers that question. 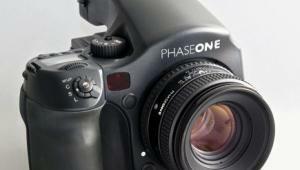 The H1 is both a film and a digital camera. Hasselblad has gone from 6x6 to 6x4.5, which is quite a change for a company that has always touted the advantages of the square negative. And they have gone from Zeiss to Fuji lenses for this model. We will not compare Zeiss vs. Fuji lenses, but everything indicates that the H1 lenses are very good indeed. 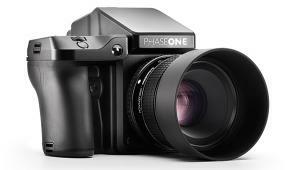 Because the H1 is the most recently released medium format camera, it was designed, says the company, to be more digital-ready than any other medium format camera on the market. That means there are no extra cables required for camera/back communications and that the histogram can be displayed on the camera panel. Hasselblad stayed with its traditional leaf shutters (but it's a new electronic one that can expose from 18 hours to 1/800 sec). This solution results in more expensive lenses but has two principle advantages: a higher flash sync speed and zero shake at longer exposures. We rarely use flash in our outdoor work, but understand that high sync speed is needed by many commercial photographers. For us, the zero shake is a big plus. We always use mirror lockup for many exposures between 1/60 and a couple of seconds, and some other shutters can shake the camera quite a bit. 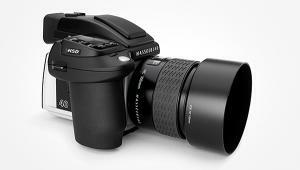 What is the major advantage to using a medium format camera? With film, it is clearly resolution and the large viewfinder. 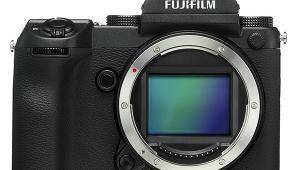 With digital, the resolution is an advantage, but for us the viewfinder might be the more important feature. There is no doubt in our mind that a larger viewfinder allows for more control of composition. The H1 has one of the brightest and finest viewfinders in its class. Handling the H1 is pure fun. Our favorites list includes the bright and large viewfinder with easy control of shutter speed and aperture; the easy mirror lockup; the fast autofocus response; the aforementioned zero shake on long exposures (your tripod and the wind are your limitations); the excellent grip for handheld operation; and the very handy histogram display on the camera panel. Are there downsides? Well, for one, the setup is more expensive than a comparable Contax or Mamiya system and there's still a very limited selection of available lenses. 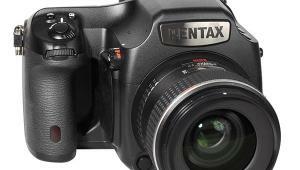 What about the exposure metering system? In our style of photography we use only manual settings. The exposure metering is merely used as a hint, and then we adjust the exposure from the resulting histogram. Here the histogram display on the camera LCD comes in handy, as it is easier to read than the Kodak Pro Back 645H LCD in bright sunlight. Note: If you use the Pro Back 645H noise reduction feature for long exposures you might need to recall the histogram manually as it takes the Pro Back 645H some time to generate the extra data needed for dark-frame subtraction. 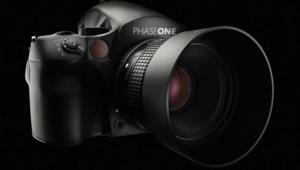 If price and the limited line of lenses are no issue, then we think this H1 camera is as good as it gets today. If you add the Kodak Pro Back 645H to the H1 you get a well-integrated digital camera with 16-megapixel resolution (and the H1 will also be ready to take the next generation of digital backs, whatever they might be). One major advantage to using the Pro Back 645H is that it does not have to be tethered to a computer, a good thing for those using it for outdoor photography. This makes it feel almost like a film back. Only the Pro Back 645H battery makes it different, but we did not find it in the way at any time. The other noticeable difference is the viewfinder screen. There is a square mask etched onto the screen. 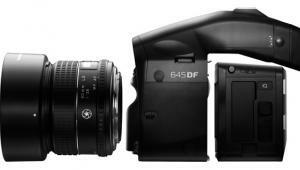 This is needed as the Pro Back 645H has a sensor size of 37x37mm and only uses a crop for the 6x4.5cm format. Those users who favor the square format of the traditional Hasselblad cameras will be on familiar ground with the Pro Back 645H. Also, you can choose rectangular formats on the Pro Back 645H but would just throw away some resolution. So why not shoot square and crop later? Prior to using this combo, we were not fans of the square format. 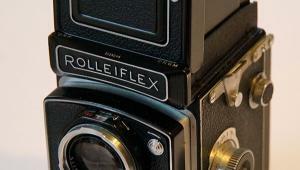 However, we have now seen that there are many compositions that break the 4:5 or 3:2 barriers of 4x5 and 35mm cameras. It has been argued that square is the most flexible format to use, and as we worked with the camera we began to favor it over the others. The H1 + 80mm + Pro Back 645H at 2 seconds. We have used the Kodak Photo Desk software many times. 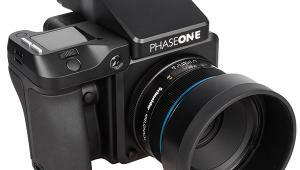 Unfortunately, it doesn't support our kind of workflow (we use Phase One's Capture One DSLR (www.phaseone.com) most of the time for our digital SLR cameras). Our preference would be to use Adobe's Camera Raw (www.adobe.com), although the Kodak cameras are not officially supported. But even though the workflow may not be to our liking, we think that the latest version of Photo Desk delivers better results in terms of color rendition. For this review we only used Photo Desk with sharpening and noise reduction set to "None." All images were converted using the "Product Look" in Photo Desk 3.1. Note: We still think the Photo Desk software does some sort of noise reduction anyway. This might result in showing lower noise but also seems to waste some resolution by too much blurring. We used a brick wall, along with a GretagMacbeth Color Checker, as our reference shot to get some idea about the resolution of the H1/Pro Back 645H combo. This is not a scientific test, but should give some clue of the resolution and color qualities of the system. 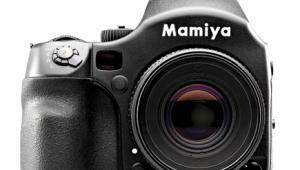 We made comparison shots with a Canon EOS-1Ds digital SLR. For processing we used the camera-specific raw converter and applied some contrast adjustments using the white, black, and gray fields of the Color Checker. We also sharpened with FocalBlade, a sharpening Photoshop plug-in (www.thepluginsite.com), and applied additional steps as needed. Resolution: The Pro Back 645H needed a bit more sharpening than the EOS-1Ds shot. Different raw converters apply different implicit sharpening. We think the EOS-1Ds + Canon 100mm Macro combo has a very slight edge over the H1 + 80mm + Pro Back 645H combo at the pixel level. 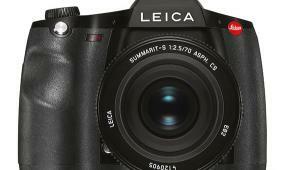 However, the Pro Back 645H delivers 16 megapixels vs. 11 megapixels of the EOS-1Ds. Depending on how you crop, the difference in overall resolution between the two might be smaller or even larger. Color: We were very pleased with the colors we got and find them true to reality. The Photo Desk "Product Look" can be a bit too saturated for some, but the result is quite pleasing to the eye. Noise: The Pro Back 645H has slightly more noise than the EOS-1Ds, but we printed a couple of 20x20" prints and got excellent results. We see no problem using the Pro Back 645H up to ISO 200. In case we see too much noise for our taste we use "Grain Surgery 2" to lower it. Long Exposures: We also made some exposures at 2-6 seconds and found the results quite good. The Hasselblad H1 and the Kodak Pro Back 645H deliver a very good portable medium format solution. We would be happy using this combination every day. 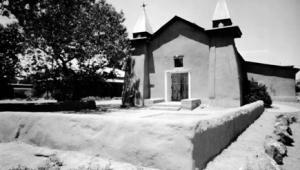 The square format is also a big advantage and we find more and more compositions that benefit from the square. The H1 and the Pro Back 645H work wonderful if used handheld. 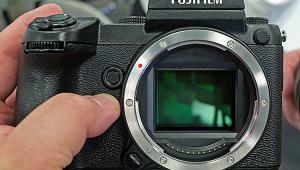 For us, the excellent viewfinder alone justifies stepping up to digital medium format. We recommend both camera and back. 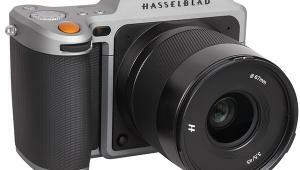 For more information about the H1, visit Hasselblad's website at www.hasselblad.com. For more information about the Pro Back 645H, visit Kodak's website at www.kodak.com.